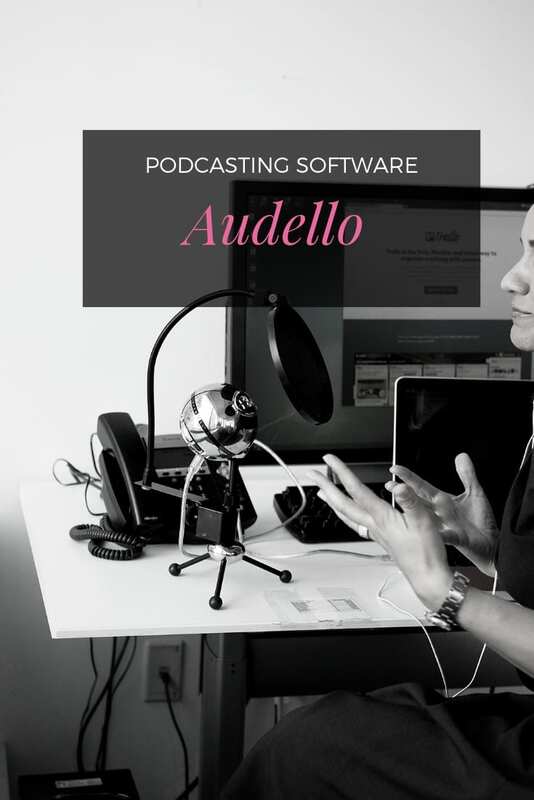 Audello is one of the best podcasts and audio marketing software available. It has great capabilities which allow you to publish your work, track your numbers using advanced analytic systems and then grow your audience steadily whether it’s for online community work or business. Podcasting is the future of storytelling. A podcast has all the features of a story; it informs, inspires, entertains, garners laughter and tears, educates and most importantly, it connects. It connects the listener with the speaker in a way that cannot be matched by other content mediums. Podcasts speak to you and go with you wherever you go. As such, they are convenient, which makes them special. Podcasts fit into our lives because they allow passive consumption of information. You can consume content without having to disrupt your day-to-day life, which makes binge consumption very common with podcasts. That is, learning on the go. Podcasts have that personal touch when delivering information. As the communicator is speaking directly to you, the delivery becomes much more intimate than reading on a blog. It also does not demand focus like watching a video. You could be running your errands or cleaning your house. As soon as new podcasts are available, they are automatically downloaded to your device. They are therefore convenient and easy to use. They eliminate costs associated with printing, are easy to store and most importantly, they are portable. You can choose your speed and you can also teach. And the audience is growing every day. Nowadays, cars are being manufactured with in-built podcast players and as the platform demands regular engagement between the listener and the speaker, great trust is also being built with time. But how do you choose the better podcasting platform? Whichever phase of podcasting you’re on, whether you’re starting out or looking to grow an existing one, where you host the podcast is of significant importance. A solid host can make all the difference in the world. There are a couple of important factors to consider, factors that will impact how your audience receives you. Ask yourself lots of questions; what’s your podcasting goal? Is it making money, or simply pushing more content to increase audience engagement? You need a platform that will grow as you grow and support your objectives as well. Where do you see your podcast in the next five or three years? Can the podcast platform support that future? Nobody likes limitations. Ask yourself whether the prospective host has processes that will save you time or just frustrate you. Time is always money. Consider how much time it takes for content to be edited, and uploaded. Is it worth it? What about when you need support, is it readily available? Additionally, consider what kind of data analytics you need to measure your growth so you can progress further. Not everyone is a mathematical geek. Will you get simple and right metrics? Ensure your content is easy to find. There are numerous podcasts out there and your host should be able to distribute your work and capture all ears. Look for a host that will work seamlessly with major players and devices, so that you don’t shut out a significant portion of your potential audience. And what extra useful features are available that I can make use of? A one-stop software solution, Audello makes user interaction a breeze, especially with simple user features like the drag-and-drop, which has allowed many people to capitalise and benefit from it tremendously. It is tailor-made to give you the best podcast experience as it provides a full host of features needed to schedule, market and distribute your audio content successfully. Like many others, it’s been integrated with applications like Skype, desktop apps, robust audio-hosting services like Amazon and sound cloud, to improve its usability and enhance user control. You can even connect to several audio-hosting providers at the same time! Audello desktop software requires either a Mac or Windows PC (Windows Vista or newer versions of Windows). The web version uses any of the main browsers, Chrome, Firefox, Safari or Internet Explorer. Audello is not a hosting company, therefore the choice of where to host your files lies completely in your hands. They integrate smoothly with whichever hosting technology you use, thereby giving you a seamless experience. Besides that, Audello also connects with iTunes and Stitcher radio, among others. All your content is a hundred percent yours. Our terms and conditions take no claim over your audio files, images or podcast episodes. Apart from being an entire podcast platform, Audello is also an audio marketing platform. You can create an audio player very easily, and customize it to your liking. Add your songs and create playlists, and configure all kinds of audio settings to your liking. Settings like security settings, social media sharing options and viral settings can be tweaked with the click of a button, and tailored to your needs. Change the visual appearance by adjusting the colors to what you want it to look like. Play with the design of the audio players using the drag-and-drop player creator feature. The platform is capable of pasting an audio into your website by providing an embed code. You can even set time events to take place at scheduled times during your audio. There’s also a page builder available where you can create audio skins and build appealing appearances with any additional options you want. For example, you can create a page and add customized buttons for options like “buy now”, “comment”, and more, making it the way you want without using third-party software. Moreover, your page goes live on the internet with one click of a button. Audello also comes with a desktop app that can record audio and skype calls as well. You can make a few custom changes here as well, like keywords, renaming, and other useful podcast information. Most importantly, you can select an audio file and assign to a podcast/playlist and upload it in one click or just drag the file if you recorded it in another platform. It still works. Audello has a WordPress plugin that allows you to access your WordPress site, browse your files and post an audio playlist or podcast on your website, by a single click, and customized to your liking. Audello is the undisputed champion in podcast management. In a very short amount of time, and without the help of other software products, you are able to create and publish a podcast online. No other third-party software is needed. If you have existing podcasts, you can import them with no more than a few clicks. Moreover, Audello gives you the capability of connecting to a host of major distribution networks to reach all your audiences sufficiently. And just like that you’re live. You can set a time in future and schedule your podcasts to upload a certain episode automatically. Also, record and upload content on the go by using the embedded iPhone application, and even receive voice messages from your site visitors. The setup process is smooth and streamlined to help any first-timer who needs help out-there. The dashboard itself is user-friendly and has many automatic features like auto-distribute which ensures that with just a few clicks and without taking much time, you’re ready and good to go. Simply fill out the details like keywords and description of the podcast, including your contact information. Add other features and effects like cover image/thumbnails and select the episode you want. Moreover, Audello allows you to schedule your work in queues which it will distribute automatically at the set time. Without much hassle, if you have other podcasts on other platforms, importing them has never been this easy. Just one click and you can have all your podcasts on Audello ready for distribution. Audello gives you this control. The powerful analytic software literally hands you the keys to take your podcasting future into your hands. With Audello, you’re able to view your analytics and track metrics and in-depth statistics for you episodes, playlist, among others, simply from the dashboard. The platform allows you to organize and break down your data into useful statistical information that you can leverage and learn from. It allows you to see useful audience information like frequency of engagement and interaction from your audience, traffic sources, and geographical data, among others. The live reporting capability is a useful feature that is available as it provides detailed up to the minute breakdown of statistics. You’re able to see the number of unique plays, player loads, completion rate (in percentage format) and even the average drop-off time. The data is also presented in a visual graph-like format that is easy to understand. With the availability of audio heat maps, one can track and see at which point in the podcast they lost the attention of the listening audience. You can see their actions and follow closely when they are engaged and when they’re not. This is a powerful metric that informs your decision on what and when to post to get the maximum impact. Also see where the audience is listening from (by using directories like iTunes) and produce content appropriate for the most popular locations. Customize your playlists to enjoy your favorite music as well as plenty of social sharing features and go viral with your podcast. You can use templates from our store to create any audio interface you feel best suits you, without having to code. This helps you to personalize your user experience as you like. You can then add images, and texts to add your personal touch. There is also a host of tools that you can add to your podcast to further drive your point home and influence your audience, generating more subscribers in the process. Additionally, make use of the A/B testing feature, an in-built feature that allows you to run two sets of campaigns simultaneously, helping you test and experiment on what works and what does not. Use the A/B split testing capability of Audello to run tests on up to four files, measuring performance like interactivity, engagements (increased or decreased), all in a matter of seconds. The winning file is selected automatically. Audello provides all these for you. Audello’s responsive design is very mobile-friendly. It has in-built mobile optimization features which enable a user to record and publish podcasts directly from their mobile device – A thoughtful feature in the current world. Audello can deliver an effective and satisfying user-experience by utilizing the incredible capabilities of our mobile devices. Training and case studies are available exclusively in Audello to help you make the most from these features. They will also help you leverage the latest podcasting tips and tricks to increase your audience numbers, and generate more revenue. Audello is a very effective and powerful podcasting platform. It is consistent at building targeted audiences and generating leads. All the tools contained within are more than enough to propel you to the top. If you take advantage of Audello’s features, and the training opportunity, your success is inevitable. Employing the services of Audello can boost your sales tremendously. Capture your audiences and secure a sale by adding a timed “buy now” button, at the very moment your listeners are engaged. Prompt listeners that you’ve connected with will always take action and continue listening to your content. Take advantage of this and leverage the opportunity. You can get the audience to share something on Facebook, or tweet about the topic of the day, by using Events and engaging with them. Using interactive content like Gateways goes a long way in encouraging viral sharing and continued listening. You can also add forms in the audio players to capture email addresses and names. A small increase in audience can greatly impact your business, what about a massive one? Audello can do this for you. Click here to get started.